On November 25th in British Journal of Haematology an article has been published: Differential expression of BIRC family genes in chronic myeloid leukaemia – BIRC3 and BIRC8 as potential new candidates to identify disease progression. The team led by PhD. Tomasz Stokłosa (leader of BASTION research team) in collaboration with geneticists and hematologist from the Institute of Hematology and Blood Transfusion and Hematology and Oncology Institute at the Warsaw Medical University analyzed the expression of the entire gene family BIRC in patients with CML. The team discovered that during the progression of CLM, and the emergence of resistance in a patient unexpectedly targeted therapy expression of two of them (BIRC8 and BIRC3) drops. Previous studies showed that these anti-apoptotic genes encode proteins, which protect cancer cells from apoptosis (BIRC5 is a classic example of encoding survivin). The discovery of this correlation can be used in clinical practice as a new predictor in the treatment of CML. 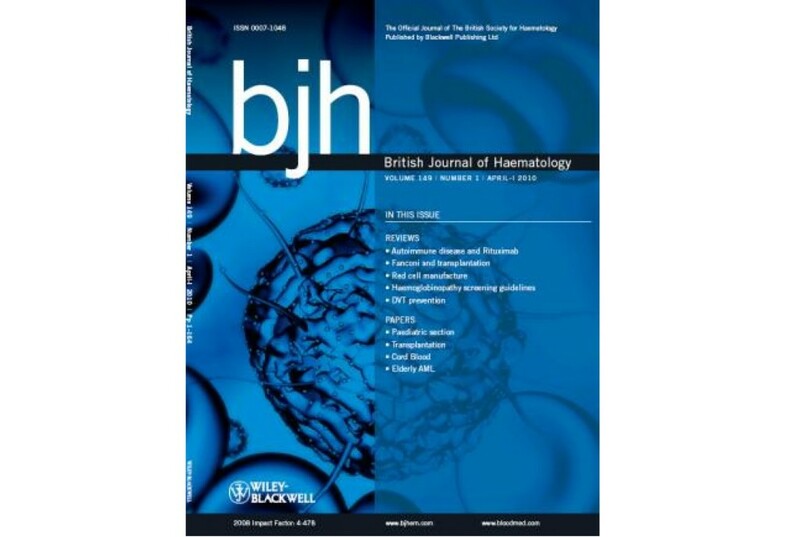 The British Journal of Haematology is a peer-reviewed medical journal focusing on hematology and other blood-related topics, such as blood diseases and their treatment. It is published by Wiley-Blackwell on behalf of the British Society for Haematology. Hematologiczne. Impact Factor is 4,9. The authors of the paper: Eliza Głodkowska-Mrówka, Iwona Solarska, Piotr Mrówka, Katarzyna Bajorek, Joanna Niesiobędzka-Krężel, Ilona Seferyńska, Katarzyna Borg oraz Tomasz Stokłosa.